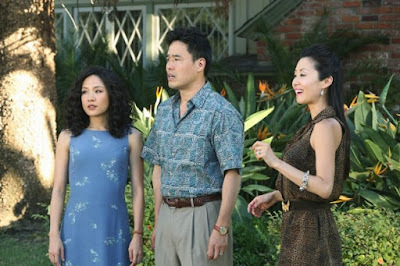 "Fresh off the Boat" is the first comedy featuring an Asian-American family since "All American Girl" from the 90s. In Margaret Cho’s comedy special she discusses being consulted during the creation process. She also jokes that her show "All American Girl" was so bad that it took over 20 years for another Asian-American family to get a chance to make people laugh. Fresh off the Boat which airs on ABC, was created by Nahnatchka Khan known for her work on "American Dad" and "Don’t Trust the B in Apartment 23." 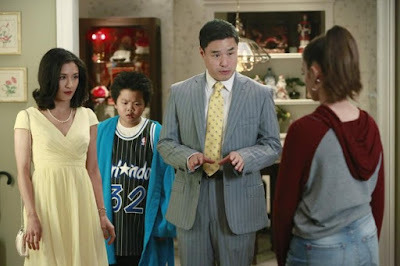 "Fresh off the Boat" is based on Fresh off the Boat: A Memoir by Eddie Huang. The first season features present day voice over narration similar to "The Wonder Years" or "The Goldbergs." 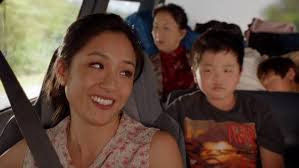 The story centers around young Eddie Huang (Hudson Yang) and his family. Eddie loves basketball and hip hop. He is the oldest of three boys and the least connected to his Chinese heritage. Parents Jessica (Constance Wu) and Louis (Randall Park) are not as “fresh off the boat” as you’d expect. They have moved the family from the Chinatown area of Washington DC to Orlando. In Orlando, they find themselves in a community with almost no Asian population. Louis is opening a restaurant called Cattleman’s Ranch. In school Eddie has a hard time adjusting and making friends. His mother’s Chinese food lunches which smell and are unfamiliar to the other students don’t make it easier. Eddie’s younger brothers Emery (Forrest Wheeler) and Evan (Ian Chen) seem to have no problems adapting. Emery has friends and girlfriends almost immediately and Evan is the perfect child, always pleasing his parents. Louis is a naive but lovable guy. 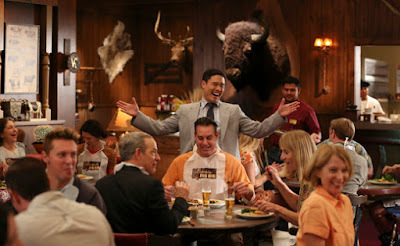 Jessica is wound way too tight and provides much of the show’s comedic moments as she attacks tasks from helping at the restaurant to schooling her children. To fit in with the neighborhood moms, Jessica learns to roller-blade and watches "Melrose Place." Her first real friend, one she really likes to spend time with, is her neighbor Honey (Chelsea Crisp). Honey is a trophy wife who is disliked by the ladies in the neighborhood and her own stepdaughter. 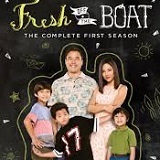 The first season of "Fresh off the Boat" contains 13 episodes on DVD. It wasn’t at all what I expected. I thought it would be focused on a family that had recently immigrated that didn’t speak the language or understand American culture. Although it wasn’t what I had anticipated, the show was still amusing and worth watching. Mom Jessica understands American culture but struggles to maintain her family’s heritage. While she still sends Chinese food for lunch with the kids she also begrudging admits that she really likes "Melrose Place." Dad Louis tries to teach Eddie work ethic by having him work at the restaurant and touchingly discusses how emotionally distant his own father was. The show is easy to watch and the 13 season one episodes can be knocked out in a weekend if you’d like to catch up to the second season. The second season is a few episodes in and features a different format without Eddie’s narration. 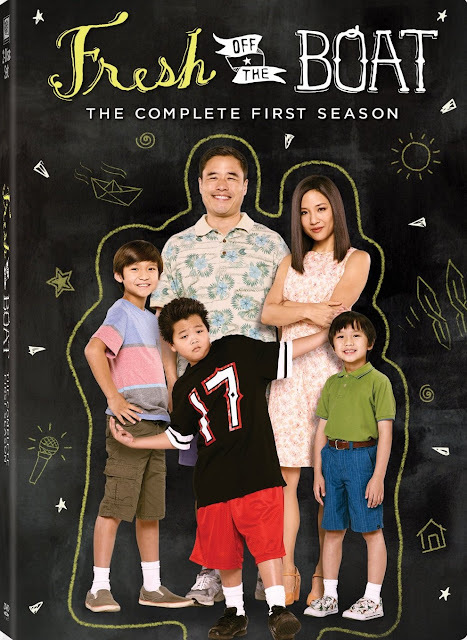 "Fresh off the Boat" is presented on DVD courtesy of 20th Century Fox Home Entertainment. Two dual layer DVDs contain 13 episodes in a widescreen 1.78:1 ratio. This is a well-lit sit com that doesn’t test the limits of your television. Detail, black levels and textures are all at the levels you’d expect for a DVD. 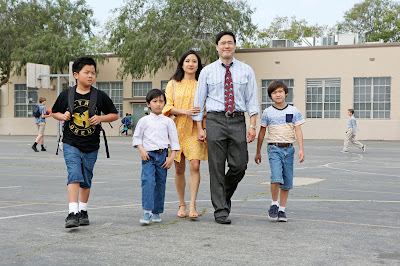 "Fresh off the Boat’s" Dolby Digital 5.1 sound is adequate on DVD. Most importantly, dialogue is even and consistent throughout the show. When Eddie has his hip hop moments, the bass is not overwhelming. Again, there’s not much to get excited about or to complain about with this set. Each DVD contains a single supplemental feature. The trivia gets old long before the episode ends and the gag reel is mildly amusing. Fresh Facts Trivia (Disc One) – Facts appear on screen pop up video style during the Pilot Episode. Information includes details about making the pilot, the year 1995, characters and random facts like Nas’ full name. Gag Reel (Disc Two) – Three and a half minutes of silliness as the cast messes up lines, dances and has the usual difficulty with props. "Fresh off the Boat" was not a show I deemed worthy of precious DVR space when it originally aired. The DVD cover boasts a review from The Salt Lake Tribune stating is it “the funniest family comedy since 'Modern Family'” and that’s definitely a stretch. It’s light-hearted and fun but certainly doesn’t compare to "Modern Family." I did enjoy the show more than I expected and I will watch, (but not record) the second season as it airs. Considering the lack of extras, I assume only die-hard fans will make the purchase. With only 13 short episodes, it is a fun family show that you could get through in a weekend.